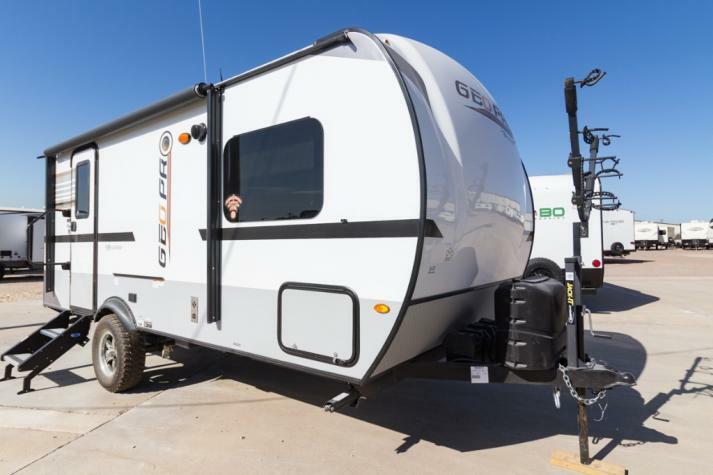 When you are ready to camp with the comforts of home, then load up your necessary belongings in this Rockwood Geo Pro travel trailer. 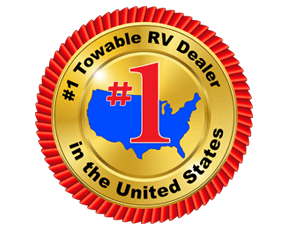 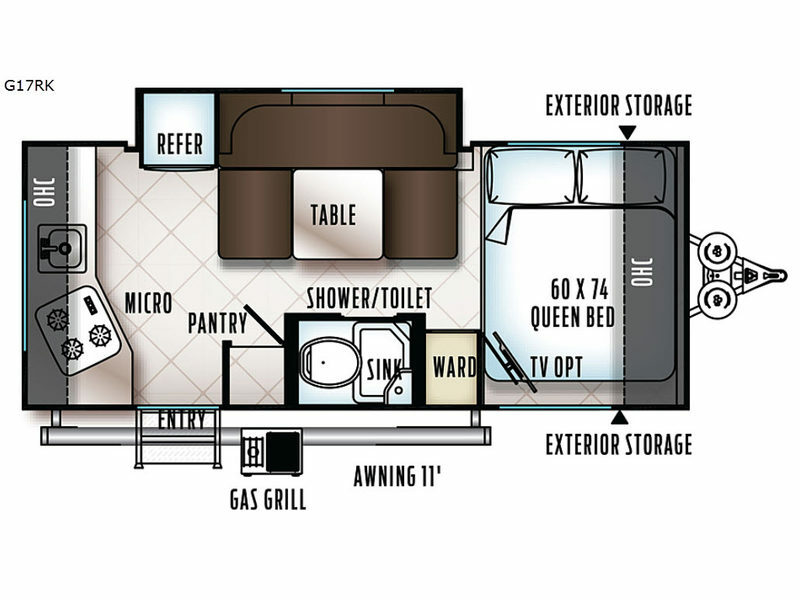 You will find that the single slide provides more floor space between the front and rear of the trailer to move about without having to squeeze in, and you will not have to use the public facilities thanks to the wet bath in this trailer. 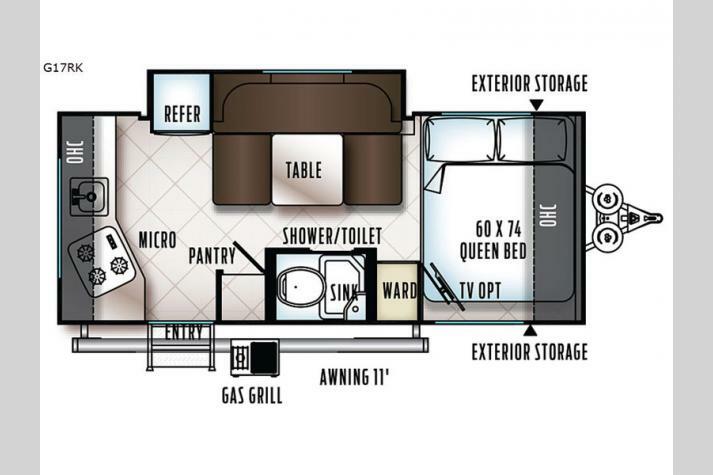 The U-shaped dinette provides a space to dine, play games, and sleep at night which gives this trailer the capacity to sleep four people. 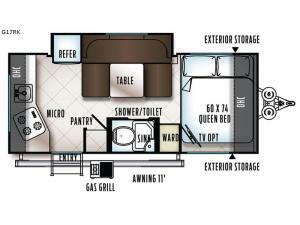 You will also find lots of storage space throughout this trailer with the pantry in the kitchen and the wardrobe next to the queen-size bed.